From five star hotels to motels, charming inns, and bed and breakfast guest homes, there are Niagara Falls accommodations to suit every visitor’s needs. 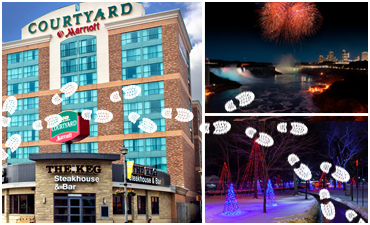 For the second year in a row, we are partnering with select Niagara Falls Hotels to present the #DecktheFalls Holiday Tour. Enjoy beautiful displays in many hotels throughout the city! The Americana Conference Resort & Spa, located in Niagara Falls; is a welcoming retreat with amazing attractions such as Waves Indoor Waterpark. 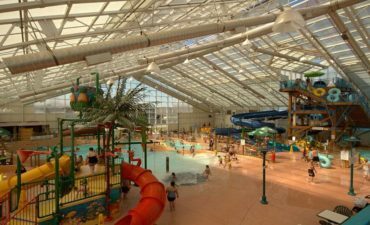 Niagara’s only indoor waterpark with a retractable roof, Boston Pizza, Conference Centre, Recreation grounds, and Arcade. The Best Western Plus Cairn Croft Hotel offers a beautiful indoor courtyard, pool and kids’ playpark, nicely appointed rooms and Niagara’s most popular Irish Pub on site. This hotel is on the WEGO shuttle route. Winter packages available. Packages starting at $99 per night. Niagara’s best kept secret! 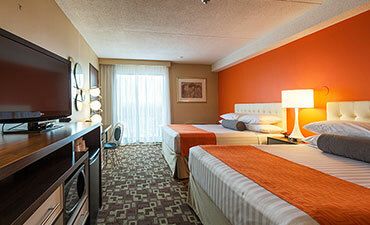 Located in the Clifton Hill entertainment district across the street from Casino Niagara. Two short blocks from brink of Falls, Frank Lloyd Wright timeless architecture. Smart home base for exploring walkable neighborhoods like Clifton Hill and Fallsview tourist districts. Room rates from $109 Two Queen Riverview. 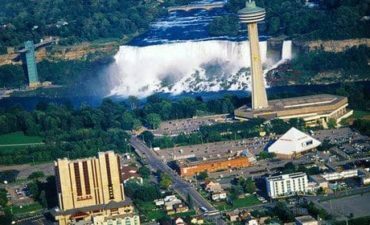 The Holiday Inn by the Falls is located minutes from the Canadian Horseshoe Falls in the heart of the entertainment district. All our rooms have been completely renovated. Enjoy an on-site restaurant, ample parking and great location. The Marriott on the Falls is a premier hotel destination with modern style, award-winning service, and an unbeatable location overlooking the Horseshoe Falls. 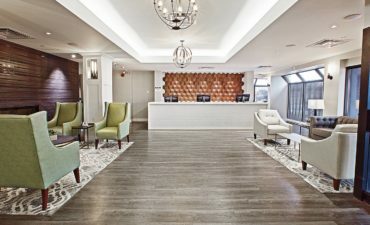 The hotel is located on Fallsview Boulevard within walking distance of Fallsview Casino Resort and other top dining, shopping, and entertainment destinations. 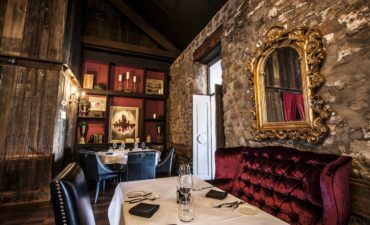 Welcome to the Historic Old Stone Inn Boutique Hotel, where historic elegance meets contemporary flare. The Old Stone Inn Boutique hotel is centrally located in the heart of the entertainment and Fallsview district. Room rates ranging from $119-$329. Stay at the closest hotel to the Falls with the best view guaranteed. Next door to the Fallsview Casino. 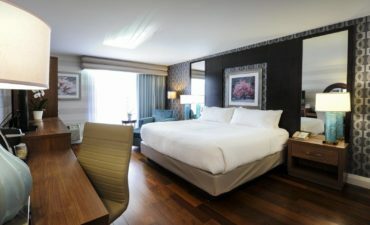 The Sheraton on the Falls is a 5-star, 4-Diamond hotel that features 669 luxurious guestrooms and suites, and offers some of the most spectacular views of Niagara Falls from floor-to-ceiling windows. 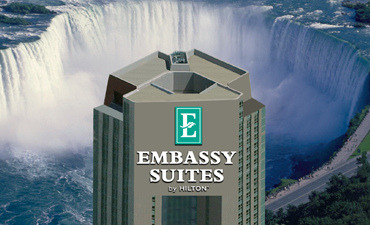 The hotel is located on Falls Avenue, just steps away from the magnificent Horseshoe Falls. 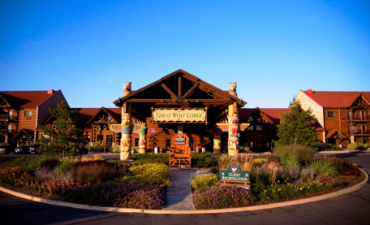 The ultimate hotel-meets-waterpark, Great Wolf Lodge delivers on a world-class family getaway with fun for all ages. All Suite, 4-Diamond Fallsview Hotel next to the Casino. Located in the Clifton Hill district we’re steps away from the Niagara Speedway, the SkyWheel and Hornblower Niagara Cruises ensuring that you have the best accommodation with a convenient location. Create some OMG Moments this Winter! OMG Moments like discovering we’re only 1157 footsteps from the Winter Festival of Lights and many attractions! Enjoy complimentary cooked to order breakfasts! Choose from boutique hotel rooms or vacation rentals. Located on River Road minutes to falls. Marriott Fallsview Hotel & Spa is the closest hotel to the brink of the magnificent Horseshoe Falls and offers unbeatable luxury and comfort, exceptional service and amenities, and one-of-a-kind dining. It is the #1 Fallsview Hotel on TripAdvisor and located within walking distance of top Niagara Falls destinations like Fallsview Casino Resort.